How Canadian Small Businesses Can Prepare for Tax Season | Genesa CPA Corp.
It’s time to start planning for Income Tax Season. Realistically, tax preparation should be taking place year-round so that you can enjoy a stress-free tax season, but we understand how busy you’ve been. This time of year is when businesses are getting all the T4 slips ready for their employees. But don’t forget that you need to file your business’s taxes, too. This is where confusion and chaos can start to take hold. What do you need to do? How do you file your taxes? What forms do you need for your specific business? Tax Season and filing taxes for your small business can be an overwhelming process. Has your bookkeeping been good enough all year to make this easy for you? Tax preparation can be a slightly different process for all businesses but here are the Coles Notes of what you need to know to prepare for your taxes. Which Tax Return Is Right for Your Business? If you’re an unincorporated business, a sole proprietorship or partnership, you’ll need to file your personal tax T1 package as well as the income from your business on a T2125 form. As for an incorporated business, or corporation, you’ll need to file a T2 corporate tax return. Deadlines, Due Dates, and Late Fees, Oh My! You need to know when your taxes are due. For sole proprietorship or partnerships, the deadline is June 15th. However, just to be tricky, you’ll have to pay any income tax owing by April 30th to avoid any late fees or penalties. Yes, April 30th comes before June 15th, it’s tricky like that. You can apply to the Canadian Revenue Agency (CRA) to have this date changed to match your specific fiscal year, but it’s not guaranteed they will approve your request. Regardless of a date change, your taxes owed will still be due by April 30th, so this can make things unnecessarily confusing. As for incorporated businesses, you can choose any fiscal year end date. If there’s a balance owing, however, the business has two months after their fiscal year end to pay this balance. You may be wondering what happens if you’re late. You’ll be charged an extra 5% on late balances owing as well as an extra 1% for every month you’re late, up to 12 months. Not a great way to start off a new business year. If you’ve been late in any of the last three years, these late penalties will also be doubled for a maximum of 20 months. What Deductions Are You Eligible for? Here’s where things can get (even more) tricky. Deductions can range from anything required to run a home office to business service fees. Sometimes, it’s hard to know what deductions your business is entitled to. Even with a comprehensive list of potential deductions for your business, it can still be confusing to know what is deductible and what isn’t. We always recommend speaking with an accountant to find out what’s deductible for your business. An accountant may appear to cost more upfront but could end up saving you money in the long run. You did it! You managed to file your taxes on time, you’re pretty sure you did it right, and now you can relax. Or can you? Remember the confusion and the hurricane of paper you had to deal with? Don’t let that be your reality. Filing your businesses taxes doesn’t have to be a nightmare. With proper bookkeeping and tax preparation, your paperwork could be a dream. Tax preparation starts with a good filing system. Create one your businesses records that works for you that will make going back through your records simple next time around. Keep clear records of anything your business may be eligible for as a deduction as well as any expenses that are important to note. Knowing what you’ll need a year in advance can be a little difficult, so we recommend speaking with an accountant. Income tax season can seem like a nightmare for some small businesses, but luckily, it doesn’t have to. 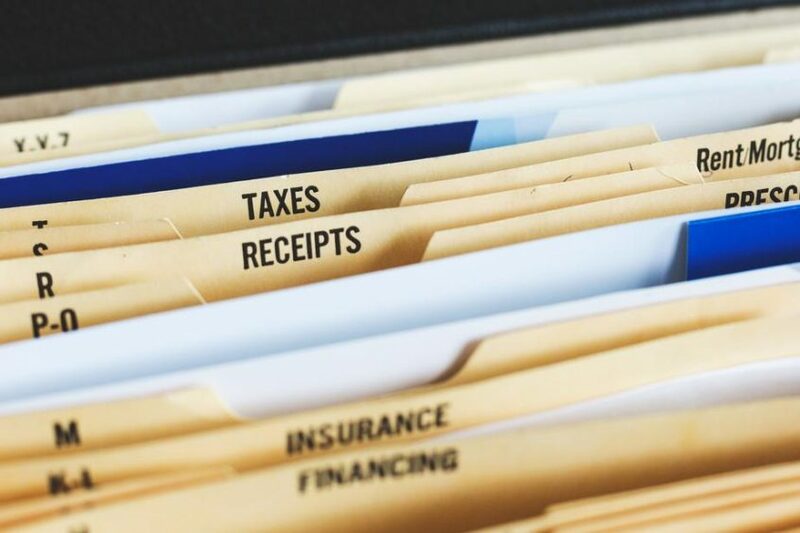 With proper tax preparation throughout the year, knowing when and what your business needs to file, and with a little help from an accountant, filing your taxes can be simple. Ready to make tax season easy? Get in touch today.